About fifteen of us descended on Vitruvio restaurant in the Epic Sana hotel a couple of months ago. We had a good time, and I even got to take photos of the food. 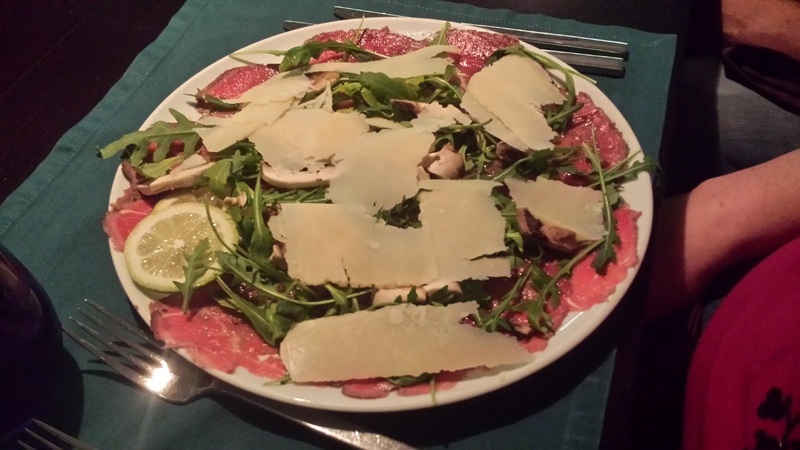 I had a nice, big carpaccio that was fresh and tangy. 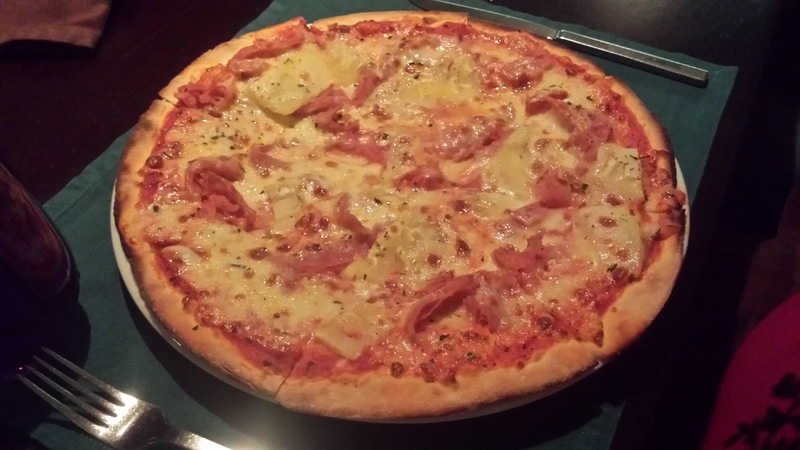 Then I had a hawaiian pizza. What was best was that the price was only about $30 per person. That's amazing for Angola!